Black dresses are everyone's fav I guess. It's easy to combine and you can wear it anytime whether in winter or in summer. There are many choices of black dresses which you can wear, plain or with pattern, long or short etc. You can never go wrong with a black dress. I've got recently an invitation from DailyLook to take part in their Little Black Dress Challenge "LBD Spring Style Challenge"! I was so thrilled!!! The inspiration behind this look is to get a chic spring look. 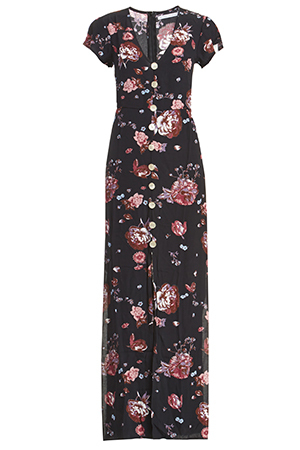 I've chosen this beautiful Flower Dress from their Little Black Dress Collection. I love flower dresses! This dress is just perfect for spring, it's airy and long enough to cover your legs if it's a little bit cold outside. I combine the dress with brown heels to make it chic. 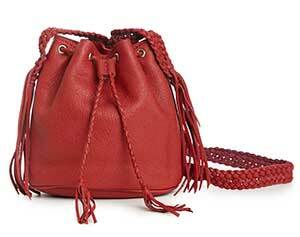 The pop of red & turquoise makes the look vivid. 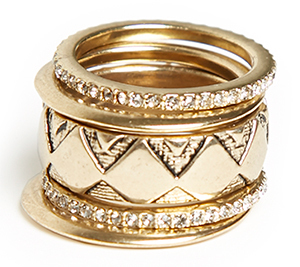 Speaking of the jewelry, I like to combine silver & gold together. I don't see any problem with it. 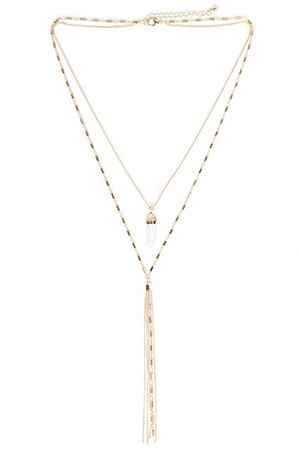 I've chosen the layering necklace, it's hyped this season & I love everything with tassel.